A while back we discussed about 12 powerful PuTTY add-ons. When you are working on production support or on a critical project that require 24×7 support, it is essential that you connect to the remote Linux server from anywhere. I found having a SSH client on my phone is very convenient for a quick status check and troubleshooting. MidpSSH is a SSH and Telnet client for mobile device. This is a step-by-step guide on how to connect to a Linux server from blackberry phone using MidpSSH software. From the blackberry browser, go to http://www.xk72.com/wap and click on ‘Latest Development Release (v1.7.3)’ as shown in the Fig below. This will display several download options for blackberry phone. Select the BlackBerry Build OS 4.x as shown in the Fig below. When you select download, you may get a warning message — “The application does not contain a signature. It might not be from a trusted source. Do you want to proceed?”. Select ‘Yes’. This will start the download automatically as shown below. After download, it will automatically install the application and give you the following installation successful message. Click on ‘OK’, which will display the MidpSSH icon on the blackberry home screen as shown below. Create a SSH client connection by giving the ip-address of the Linux server you would like to connect to from your blackberry phone as shown in the Fig below. Alias – Enter the connection name. Host – Enter the ip-address of the server. Type: SSH, Telnet. Select SSH. Authentication: For SSH Connection Only. Optional. Leave this empty. Username: Enter the linux user name. Password: Enter the linux account password. Connection Type: Default, TCP/IP, BES, WiFi. Select Default. Once the session is created, select the session using the trackball, which will give the option to connect as shown in the Fig below. This will prompt the message — “The application MidpSSH has attempted to access a low-level network connection. Would you like to allow this?.” Select “Yes” for this message, which will connect to the remote Linux server. The default font size on the SSH client is very small. This makes the Linux prompt really tiny and practically not readable even with a 20/20 vision. The solution is simple — increase the font size. To make the Linux prompt and command output readable, you can increase the Font size. From the MidPSSH menu -> Select Settings -> Select Fonts and set the following values accordingly as shown in the Fig below. Font Size: Tiny, Device, LCD 3×6 etc. By default Tiny is selected. Changed this to Device. LCD Font Mode: RBG or BGR. Apart from the Fonts, the Setting menu has the following options as shown in the Fig below. There are two methods to execute Linux command on the MidpSSH client. From the MidpSSH client, when it is connected to the Linux server, click on the blackberry trackball, which will display the input-menu as shown below. Select ‘Type’, which will allow you to interactively enter the Linux commands. From the MidpSSH client, when it is connected to the Linux server, click on the blackberry trackball, which will display the input-menu. Select ‘Input’, which will allow you to enter multiple Linux commands. Once you’ve entered all the command you can execute them together as shown below. In the example below, three commands — clear, pwd and cat /etc/redhat-release are executed one-by-one in a batch mode. One final word of caution, for those who have mastered the art of checking emails on blackberry while driving, may be tempted to use MidpSSH client while driving. Please don’t touch your phone while driving. Be responsible and use hands-free device to talk. If you think I’m joking about this caution, you have to see the kind of activities people do in their car while stuck in traffic on the 405 freeway in Los Angeles. The steps I gave above using MidpSSH works without any issues for me on blackberry pearl. I’ve tried with both Verizon and AT&T provider without any issue. I have no idea why you got that error message. Keep us posted if you’ve resolved your problem. for example I want to connect to port 234 on my host. Just got it all working on Blackberry Curve thanks to your instructions (I only found the software this morning after thinking such a thing would be useful). I was having real problems figuring out how to get the symbol screen up to type in > so I could type cat – > key.pub, but the input method makes it easy. I have developed a customized version of midpssh for blackberry which adds a couple of features that I find extremely useful. – The SYM key turns on type mode. Good for when you frequently escape from it without meaning to. – If you are in type mode, SYM key maps to CTRL key. Pressing it once will act is if you have held it down for the next keystroke. For example, in a screen session you would type discretely: “SYM” “a” “n” to change to the next window. – If you are in type mode, pressing the trackball acts like the ESC key. Useful for you us vim fans out there, and those of us who use set -o vi in bash. Regarding Your question: How to connect to a different SSH port number using midpSSH? Thanks for your comments and answers to the problem ‘anonymous’ has faced while installing ssh client on his phone. I find that the default midpSSH itself satisfies all my needs. Thanks for your comment. does anyone know how, or if it is even possible to open a tunnel with midpssh once you connect to your ssh server? At last I could connect to my server using midpssh in my blackberry curve 8310 with movistar Venezuela mobile operator. This has really frustrated me, this would be amazing to get a blackberry SSH client to work! but this release is working..
was there any need for changes/adjustments on the server side? What are some openly available sites I can ssh into to test this out? Marc, Thanks for the update- this is really helpful. One thing I’m seeing that I can’t figure out is scrolling up twice while in a screen session seems to be the equivalent of ctrl-a ctrl-a (switch to prev window). I see this in all versions of midpssh. Do you know why this happens and more importantly how to fix it? On Blackberry tour – get the following error. Just choose WiFi. Then you might login successfully. I had the same “failure” problem, but now at least works well for me. I am trying to setup this app. It installed, but I am unable to get to my host. Writer: Unable to open connection. I am on a BlackBerry Curve over Sprint. I was hoping that this would allow me to access internal hosts, as traffic such as web browsing can access internal hosts, and have to hit a Proxy to browse outside the company. Works great on my Curve … Thx for this awesome tut my friend. Works like a champ on my Tour as long as the connection type is set to TCP/IP. midpssh can be a pain configuring for public key authentication: you need an open terminal where you make the app type in your key. I didn’t find any other way to access my own key, which is very disturbing. GRRR. I’d rate it 3/5 as proper config is hell, and no tunnel support is definitely one star off. Session Error. Writer: Cannot open socket connection on port 443.
it seems not working on my BB Bold 9000 with OS 5.0.0.411 leaked..
I’ve got MidpSSH installed on my blackberry bold (Vodafone), but when I connect I get a Session Report: In 1.34KB, OUT: 0 bytes, Total: 1.34 KB (Just like Bergson Perez above). When I dismiss it the interface appears to indicate I’ve connected to the server ok, but pressing the trackball gives me no options and clicking the blackberry button gives me only the option to close. I’m running MidpSSH 1.6.0 on my new BB 8350i running 4.6 OS with wifi. I connect to a closed internal network via wifi and need telnet access to devices on the network. Unfortunately, it seems like the MidpSSH is tied only to the Mobile Network and can’t be switched to the wifi network like the browser can. There is no way the internal network will ever touch an external one, so internet access to it is out of the question. I’ve tried everything in the settings for the BB and MidpSSH. Any ideas for a workaround? Downloaded the latest version and found the new WiFi setting. Doing better now, please diregard previous post. Thanks. Hi Ramesh – I am not a networking guy and have a simple question. Our Unix servers are behind the firewall and can only be accessed within the company network or with VPN or Citrix. Can MidpSSH be used to access these servers from the mobile device. i have one question for you from where my BB can touch a Network, if the network not available a wifi. I’m having the same problem as Paul Grenyer and Bergson Perez with the “Session Report: In 1.34KB, OUT: 0 bytes, Total: 1.34 KB”. Seems to be related to how the connection is made, through wifi for example it works great whereas through regular GSM connection it gives the session report and no connection is made. Boody- I have found that too, but if you switch to scroll mode in the menu itseems to correct it. I am working on a completely new interface designed specifically for blackberry – I’ll post a link here once it’s up. The backpsace key issue seems to have started in the last few weks – I noticed it after I updated to a more recent 4.6 os install on my Bold; I don’t have a build based on the one you have above which corrects this, but the new version I’m building does have this fixed (as awell as quite a few new features that take advantage of the bb platform). @marc- VERY excited about the prospect of a better-working midpssh. Are you planning on leaving in the ‘ctrl’ functionality with the sym button- VERY useful and actually I’d stick with the current version if it was removed. Also, are you developing a version that will work in OS 5.x? @boody – the equivalent with a bit more I hope. Specifically I am trying to make sure *all* special function keys are bindable in user configurable manner to keystrokes/functions/macros (such as volume, mute, convenience keys). I am currently building it for 4.3 and later – once I have that working, I’ll branch off a 4.7 (with touchscreen) and 5.x series (touchscreen + other new goodies that 5.0 brings). Currently it’s working in a very rudimentary form – that is, I can define settings and sessions, and connect. The custom key mapping is not in, but I’d still say I’m at about 75% complete for a first version. It’s unfortunate that i need to build for prior to 5.0. That version brings support for custom fonts, which wold provide a much more efficient and easier-to-manage method of displaying the terminal than is currently used. A few other fun toys too… but there are far too many people who are stuck with 4.x (including me) for a while yet. Some experimenting has shown that this 4.x release I have in development *does* work on a 5.x device without any issues. I’ll be posting updates and plans to my blog some time today, at http://marcparadise.com. Well, hi, I got a BB curve 8900 but when I run the aplication and then go to the session option, there is nothing!!! nothing apears, My curve uses a 4.6.1 and I download the 1.7.3 midpshh version. But nothing happens, everytime I tried to use the midpssh on the session part nothing shows up… there is no “alias”, “host”, or anything… Please help me finding the problems I dont know what else to do…???? Great job!! it worked for meon GPRS enabled Blackberry ..but not worked on EDGE service …..
You need to enable APN settings on Options > Advanced Options > TCP/IP. For APN address, username, password contact your service provider. I set the session ConnectionType:Wifi but I have always this error …what can I do? ALex, might I recommend midpssh’s successor for Blackberry? BBSSH can be found at bbssh.org. if you have the sane problem on that client, you can use the “send feedback” option that’s in the app. By the way do you know is there a pure linux shell run on blackberry OS. I used one on my iphone, it is quite good. I couldn’t believe seeing my AIX server command prompt! Any insight you can provide to resolve this matter is appreciated. Thanks. Hi Steve B – I recommend instead using bbssh. Bbssh is free and open source, is actively developed, designed for blackberry, and has its origins in midpssh. If you still have connection problems then, use Send Feedback from within the app and I’ll be able to help you out directly. Hi everyone.I successfully download and installed midpSSH and BBSSH. i followed all the settings that is on this thread but i still get an error. im assuming that i got all the settings correct because its trying to connect. on the other hand, i really dont know how this works on the server/computer side. i am using freeSSHd as my gateway to access my pc. i tried using puTTY and it worked just fine. i just dont understand what else am i missing or what is wrong why i cant connect to my computer. how do i set up my computer for me to be able to access my files using my blackberry bold 9700? BBSSH works fine with my 9700 bold. Thanks for the app – it’s very handy. I have been able to install the application on my BB 9700 bold running OS5. I’m using the bb curve! And dowdloaded the SSH or BBSSH and installed it succesfully to. I have a Big Question to ask lol. I am getting session Error. Invalid parameter. 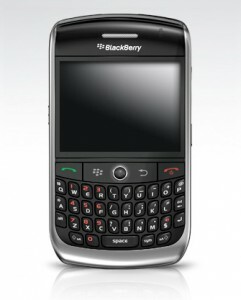 I am using blackberry Curve 8250 os 5.1. This app work on this O/S? This is very nice and the instruction is fairly simple to follow, however, does anyone able to import ssh private key? just wondering if this feature is something to be considered in the next release. bashir – bbssh supports private keys. You can import them from BBSSH’s main screen by displaying the menu and choosing Private Keys. After you import them they are available for use in setting up connections.